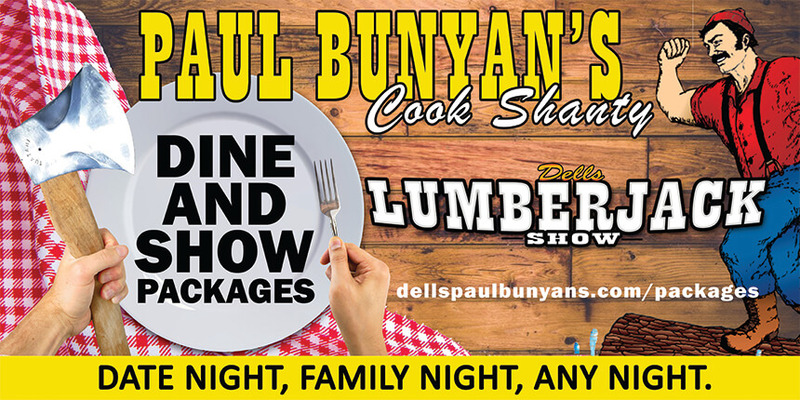 Paul Bunyan’s Cook Shanty and the Dells Lumberjack Show are extremely excited to announce that this year we will be offering discount packages that will allow our guests to have both a delicious Lumberjack Logging Camp meal and see the Lumberjacks in live action at our show. These packages will be announced very soon! Please check back soon and we look forward to seeing you this coming season.